BrewBuilt has adopted a modern feature set designed to make brew day easier. Silicone handle and lid grips help prevent burns. Etched internal volume markings make filling the kettle for mash or boil simple. Welded valve and thermometer fittings are leak-free and never require maintenance--no more discovering worn gaskets on brew day. The internally threaded valve fitting accepts a wide range of in-kettle accessories. Sealed handle rivets are strong and allow the entire kettle to be filled if necessary. And perhaps best of all, BrewBuilt is excited to introduce an industry first: A pre-notched lid with a silicone plug that allows perfect fitting for immersion chillers or a Fermentap Sparge Arm. 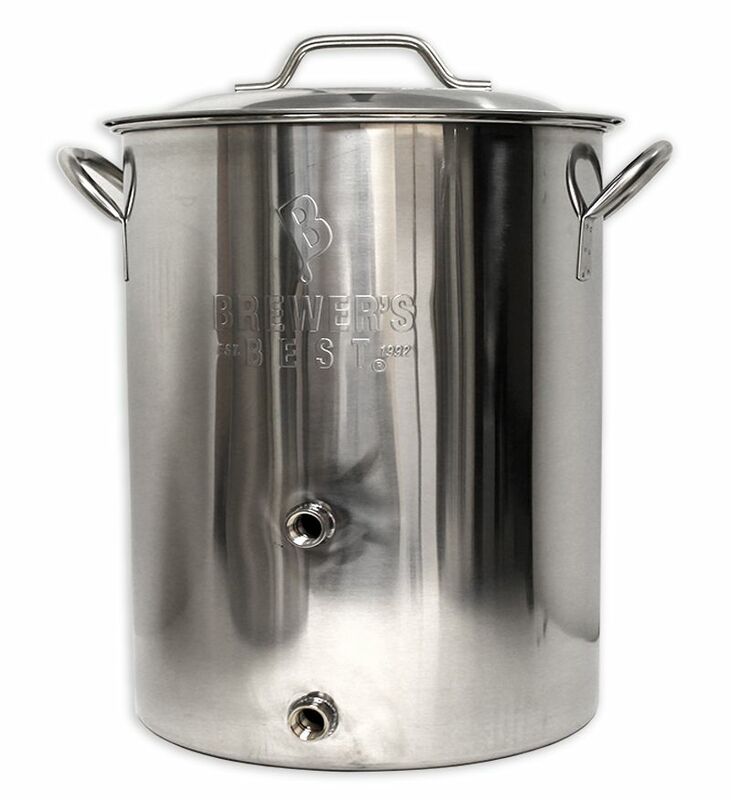 The Complete setup includes the ball valve and hex plug so you are ready to brew with all included hardware.